We have put together a list of the best privacy-focused VPN services we used so far and liked the most in our 2014 testing. Our rating is based off our experience with the services and not necessarily their claims. VPN services engaging (primarily) on marketing techniques are excluded by default from our rating criteria. The services listed below are very good and well regarded by their customers, and we are quite sure that you just can’t go wrong with neither of them. PIA is one of the most vouched VPNs out there, with a zero-logging policy, not asking for any details when signing up, accepting many anonymous payment methods ranging from Bitcoin to pre-paid and gift cards. The only thing that we aren’t 100% happy about them is that they are based in USA, a mass-surveillance state, and can be targeted by National Security Letters. Check our Private Internet Access Review article for more info. 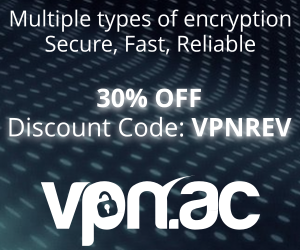 VPN.AC is a smaller provider who really stands out due to their outstanding customer care. The service is operated by a real security company consisting of experts with over 10 years working experience in Information Security and Linux administration. The service is based in Romania, allows Bitcoin and pre-paid cards payments, has very fast servers in 15 countries, and a customized client-software for Windows and Mac. Read our VPN.AC Review article for more details. AirVPN is a service based in Italy that doesn’t rely on marketing techniques to boost their market-share. They are heavily focused on privacy, don’t discriminate against any kind of Internet traffic, and the owner is a privacy activist. We like everything about their service. Based in Sweden, Mullvad VPN is another great service with an emphasis on user privacy and security. They don’t have servers in many locations but the connections are very fast and reliable. PureVPN has worked great for me. I love how easy it is to set up and use, both for my computer and my phone. I have used many other providers and always run into some hiccup or annoyance. I’m so thankful to have found something that works immediately and reliably.